When the Social Security Administration (SSA) pays a claimant too much of a monthly benefit, or releases an excessive amount of retroactive benefits, this is referred to as an overpayment. These overpayments often occur due to a miscalculation by SSA. For example, in the case of an SSI recipient, a change in marital status or living situation that was not previously reported to SSA may lead to a miscalculation of benefits. If SSA determines that a claimant received an overpayment, they will send a notice explaining the overpayment and requesting a full refund within 30 days. Social Security Turns 80 Years Old! 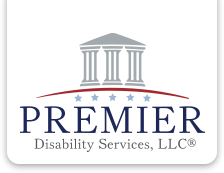 A common question we receive from clients is how much they will receive on a monthly basis in the event they are awarded Social Security Disability benefits. This is a very valid question. A disability significantly impacts a person’s life financially. It is a good thing to plan for the future and determine what types of financial adjustments may need to be made considering the amount of benefit that person can expect.